NOW AVAILABLE with biocellular micellization! Suffering from flexibility and joint health issues? Cartilage, the cushioning between the joints, can break down due to age and injury. Bone begins to rub painfully on bone. FLEXI-CARE PLUS is a natural alternative to taking over-the-counter pain relievers, and it has no harmful side effects. MSM, or methylsulfonylmethane, is a naturally occurring source of nutritional sulfur with multiple functions in the body. Natural sulfur is an essential raw material that the body uses to nourish and heal itself. 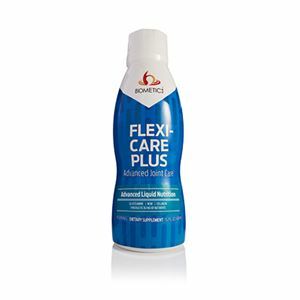 FLEXI-CARE PLUS is a unique formulation for comprehensive nutritional care for your joints, muscles, cartilage, connective tissues and total body by adding MSM to Glucosamine, Collagen and Shark Cartilage. If preventative care for your joints and tissues is important, take FLEXI-CARE PLUS to support better joint health and mobility. * *These statements have not been evaluated by the Food and Drug Administration. This product is not intended to diagnose, treat, cure or prevent any disease. 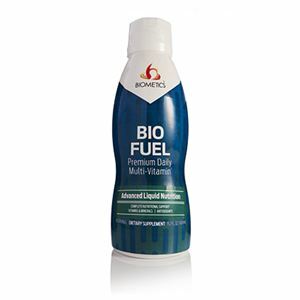 Vitamin E, MSM, Glucosamine Hydrochloride, Collagen Type, Purified Water, Fructose, Citric Acid, Natural Flavors, Glycerin, Ethoxylated Vegetable Oil, Potassium Sorbate, and Sodium Benzoate, Biocellular Micellized® for enhanced absorption, Free of: Milk, soy, wheat, egg, peanuts, tree nuts, artificial colors, artificial flavors, starch and yeast.